The gods of office furniture have gifted us with something that solves two things the modern white-collar worker has to feel guilty about: environmental destruction and sitting. 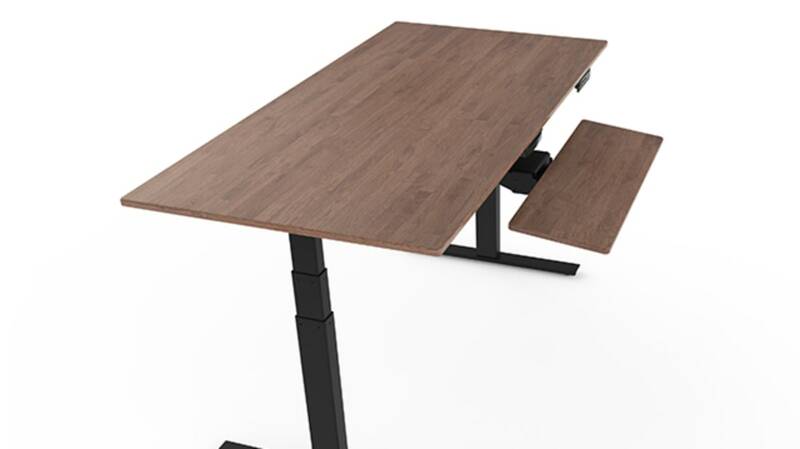 NextDesk’s new Encore adjustable desk sells standing up at work as an environmental choice. It’s made of recycled rubberwood, which is taken from rubber trees after all their latex has been harvested. The rubber trees are chopped down at the end of their latex production cycle regardless, so it’s fairly sustainable, as timber goes. The frame is made out of recycled aluminum. Plus, there are the health benefits of not sitting all day long. It’s easy to convince yourself to move around for a few minutes with a motorized desk that, at the push of a button, will rise, carrying your computer with it. However, if you can't stomach the idea of spending more than $1000 on a desk but still want to be recycling-friendly, you might want to try the cardboard standing desk ... or just grab a big cardboard box. Just don't over-do it with your working power-stance. Researchers have found that while sitting too much is linked to a greater risk of a host of unpleasant conditions (including plain old death), standing too much can also have its downsides. Moderation, guys.